iMessage is a great addition to iOS and OS X that lets you send unlimited text messages, pictures, videos, documents, and even files, between other iMessage users. Though you probably know at least a few people who are using iMessages, chances are good that more of your contacts have set it up and you just didn’t know about it yet. 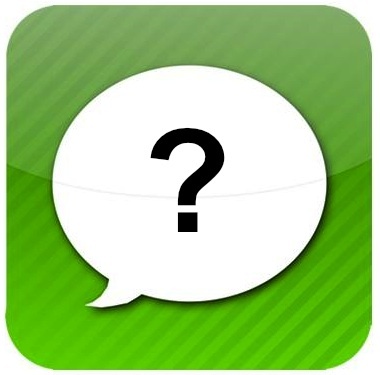 The good news is that iMessage users are easy to find, and as long as they have it configured properly on their iPhone, iPad, iPod, or Mac, you’ll be able to find who is using the service and who can receive things sent through the iMessage protocol. 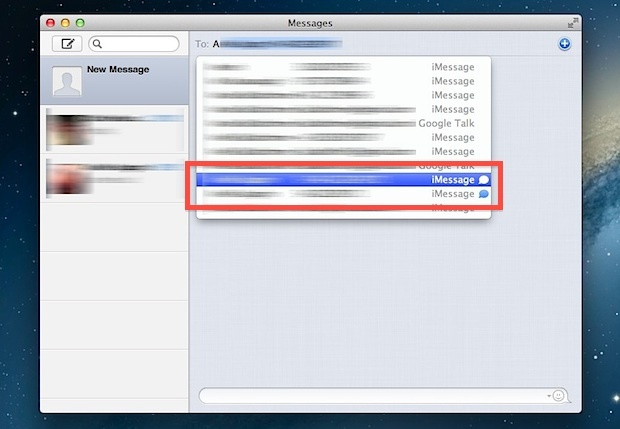 Here’s how to find out who can receive iMessages easily in both iOS and on a Mac with OS X. Now that Apple has brought iMessage compatibility to the Mac, the same functionality is provided but in a slightly different way. One thing missing is that you won’t know what device they’re using, so whether or not you’re sending a message to a Mac, iPhone, iPad, or all of the above, you just won’t know. With how iMessages sync between devices, that doesn’t really matter much, but it would be a nice bonus to be able to find out what hardware they are using at the moment. doesn’t work for me on the iphone. Simply typing a letter shows no blue icon next to anyone’s name…and I know a few people in my contacts have iMessage enabled. All my contacts are set up on gmail. I’m seeing nothing when type in a letter, is that the reason why? Doesn’t work for me on the iPhone. Like everyone else, I know people with iPhones and I know they use the messaging app. Ditto – doesn’t work on either Mac or iPhone for people who I know to have iMessage enabled. Will be useful when consistent, but must be random at the moment. Works perfectly for me on all my devices -however, I think the article is not quite accurate. I think you have to have sent a message to the contact at least once before the blue message bubble appears. Aside from that, iMessage for Mac is also working perfectly. Works fine for me on Mac, iPad, and iPhone. I can see people who I haven’t corresponded with too, but I think if you disable “Read Receipts” than you will NOT show up to others. Is there a way to get this to work on the Mac when my contacts are all within the Exchange/activesync environment. Obviously because my iPhone is set up to be connected to that activesync environment it has my exchange address book, but the messages app on my mac does not have access to that address book…Any ideas how to solve this? I had the same problem. I was able to export my contacts from Outlook to a text file (.CSV) and then import them into the native Mac “Contacts” app. After that my iMessage was populated with all my contacts. Obviously, new additions to my Outlook/Exchange account won’t be available in iMessage until I add them to my Contacts app. This isn’t working for me either – not even for the people I’ve already texted via iMessage. The only way iMessage is used on my phone is if I label the contact’s number as an iPhone. As Éamonn said, you must access the contact at least once by typing the first character and then selecting that contact, instead of tapping the plus sign to bring up your contact list. 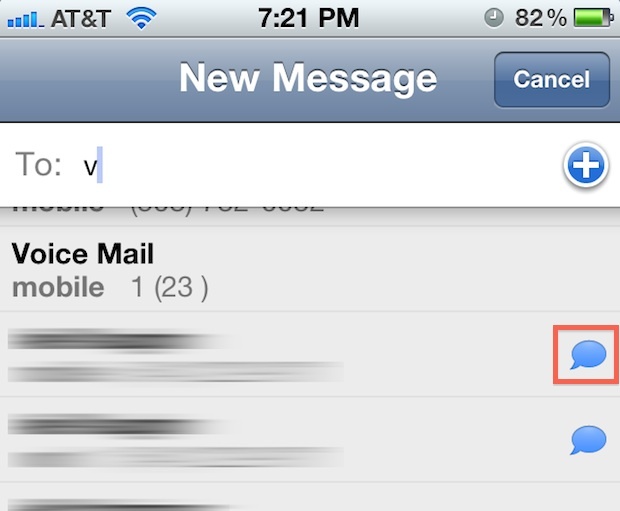 Once you have done this, the next time you access the contact the blue “bubble” will appear next to that contact. Kind of a pain…. It would be nice if there was some refresh that would automatically scan your contact list instead of having to access each one. This web site is gr8! !